There’s nothing quite like the flavour of citrus fruit that’s been ripened to perfection and freshly plucked from the tree. It’s sweet. It’s juicy. It’s incredibly delicious! At Fat Goose Fruits, we use sustainable agriculture practices to grow citrus fruit the way nature intended. There are no chemicals. No genetic modification. No storage for months on end. 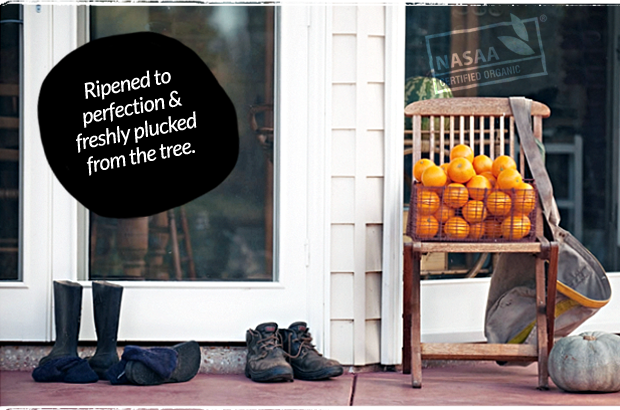 Your certified organic citrus fruit is picked and supplied only when it’s in season and at its natural best. By cultivating environmental integrity, we hope to not only provide mouth-watering, organic products that are good for you, but also support our local community. The fresh and wholesome range of certified organic citrus fruit grown and packed by Fat Goose Fruits is available locally from select farmers’ markets and various retail locations throughout Australia.